Red poppies are a must! 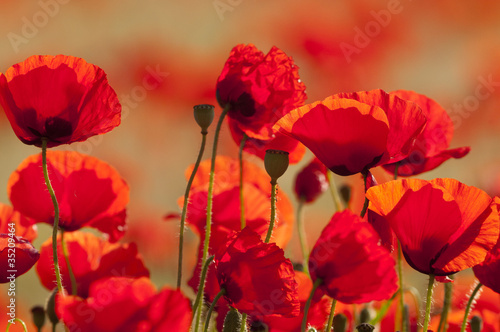 Photo wallpaper - Red poppies are a must! Every flower has that something special. What does make the red poppies so special? The beauty of colour and shape, wildness and freedom. Every glance at this view will make you recall it during long hours of hard work. The photo wallpaper emanating this beautiful motif will suit daily rooms and living rooms perfectly.